The Ameda Elite is a hospital-grade pump designed to be more adjustable than other pumps. This microprocessor-controlled pump allows mothers to ‘follow their flow’ to find the most effective pump settings for them and their baby each time. It is a durable yet lightweight pump, proven by research to be effective at establishing milk supply. 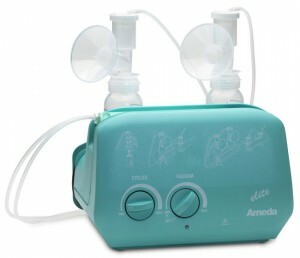 We provide Ameda Elite breast pump hire with 24/7 technical assistance provided. To Hire we charge $25 per week, with a refundable deposit of $200 on return. The Dual Kit attachment will need to be purchased for a fee of $80, it cannot be hired due to national health and safety regulations.